As we stare into the gaping political black hole that is the deadline for Brexit negotiations and the date on which Britain plans to leave the EU, the people – or at least two million of them – have spoken. A petition calling for the government to revoke Article 50 and cancel Brexit has hit 2,625,272 signatures, at the time of writing. It’s the highest volume of signatures in such a short space of time Parliament’s petitions committee has ever had to deal with – and people flocking to sign their name on the dotted line has crashed the website. Data from last night (Thursday 21 March), on the parliamentary website suggested 1.3 million signatures were from people who said they were from the UK. The petition’s heat map shows the constituencies with the highest number of signatories, including Bristol, Edinburgh, Manchester, Oxford, London, Cambridge and Brighton. Some 10,000 more were from France, nearly 6,000 from Spain and more than 4,000 from Germany, among others. Anyone who is a UK resident or a British citizen can sign a petition. This includes British citizens living overseas. They also confirmed, per the BBC, signature patterns are investigated to check for fraudulent activity and suspect signatures are removed, including those that are ‘clearly bots’. The government repeatedly claims exiting the EU is ‘the will of the people’. We need to put a stop to this claim by proving the strength of public support now for remaining in the EU. A People’s Vote may not happen – so vote now. Just to clarify, a petition is not a vote, but a public expression of support and a means of raising awareness of, in this case, a pressing socio-political issue. As the petition has reached over 100,00 signatures, however, Parliament will consider it for a debate. The petition site currently says those who’ve signed can expect to wait ‘for two days for a debate date’ and ‘four days for a government response’. 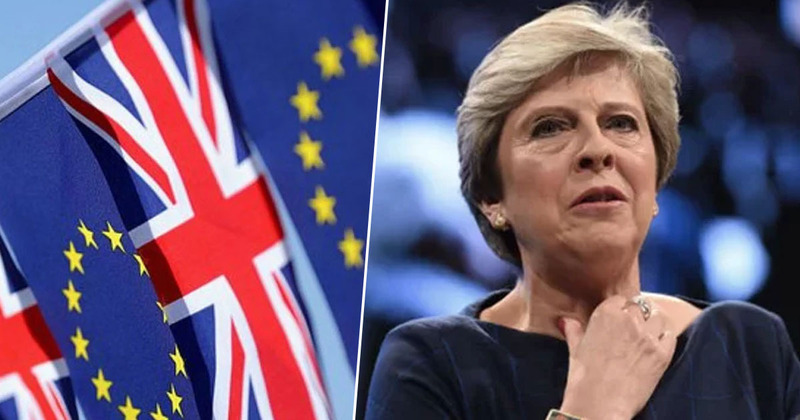 EU leaders in Brussels have reached agreement on a plan to delay Brexit beyond March 29, delaying the worst for a little longer in either mercy or a form of drawn out torture for Remainers. Meanwhile, Downing Street said Prime Minister Theresa May ‘has said many times she will not countenance revoking Article 50’. In other words, the lady is not for turning. The PM has long been clear that failing to deliver on the referendum result would be a failure of democracy and a failure she wouldn’t countenance. Yet, it’s an option which has been the elephant in the house. In December, the European Court of Justice ruled the UK may unilaterally revoke Article 50 of the Treaty of the European Union.